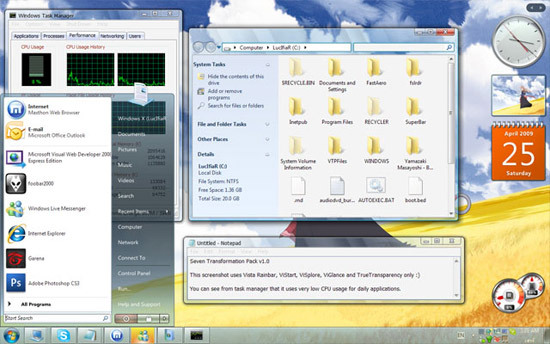 I have already shared some transformation packs for XP to change the look of your Windows XP to look and feel of other Operating Systems. Now with the release of Windows Seven RC, here is all new Windows Seven Transformation Pack which will make your system look like Windows Seven. I’, dying to see windows seven on my laptop, Oct 23 is the release date. woopy. just wondering if this tool will also create missing functionality of xp to its later version? will will just act like a windows blinds?